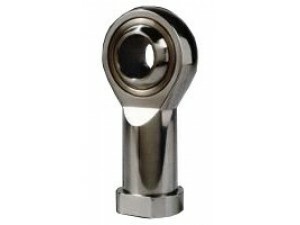 Inner ring : antifriction bearing steel, hardened, ground and polished, sliding face hard chromium plated. Outer ring : Stainless steel 1.4006 lined with an antifriction film consisting of ptfe with metal frabric. Housing : Temperering steel 1.7035 (41Cr4), forged, polished and mirror finished nickel plated.